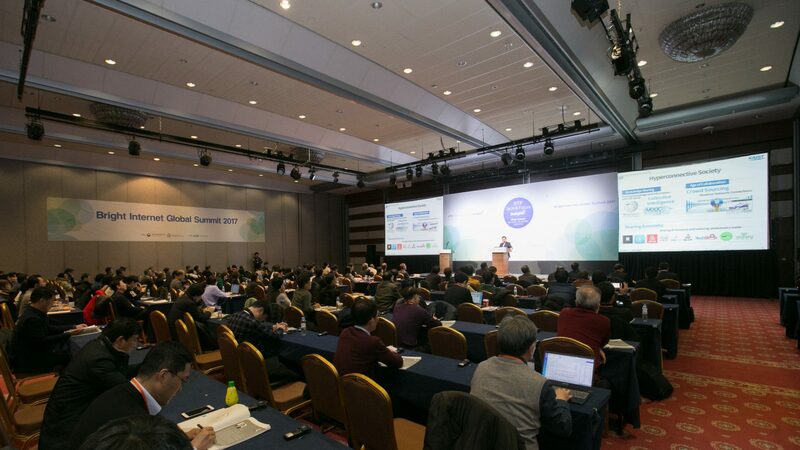 The Bright Internet Global Summit (BIGS) is a global forum of exchanging the vision and research outcomes on various issues of the Bright Internet. It is also a channel to derive agreements among stakeholders and member countries for mutual benefits which cannot be realized by a single country alone. BIGS 2018 at San Francisco is the continuation of BIGS 2017 in Seoul and BICS 2018 in Beijing. BIGS 2018 will be held on December 12th (Day 1) and 13th (Day 2) as a pre-ICIS 2018 Workshop in the Marriot Marquis Hotel in San Francisco. Day 1 meeting will be dedicated to practical industry experts and policy makers, and open to non-AIS members. This workshop will be a good opportunity to learn the trend and issues of the Bright Internet Initiative and the approaches for preventive cybersecurity paradigm and business development. It will be also a good opportunity to meet the key players of Bright Internet and participate in the Q&A, discussions, and networking. Day 2 is dedicated to academic research presentations and discussions and open only to AIS members. Day 2 will be held as a track of the Workshop of Information Security and Privacy (WISP) of AIS SIG-SEC (Security and Privacy). AIS members can register for both days at a discounted fee. But the Bright Internet track will be recognized in the www.brightinternet.org as well.